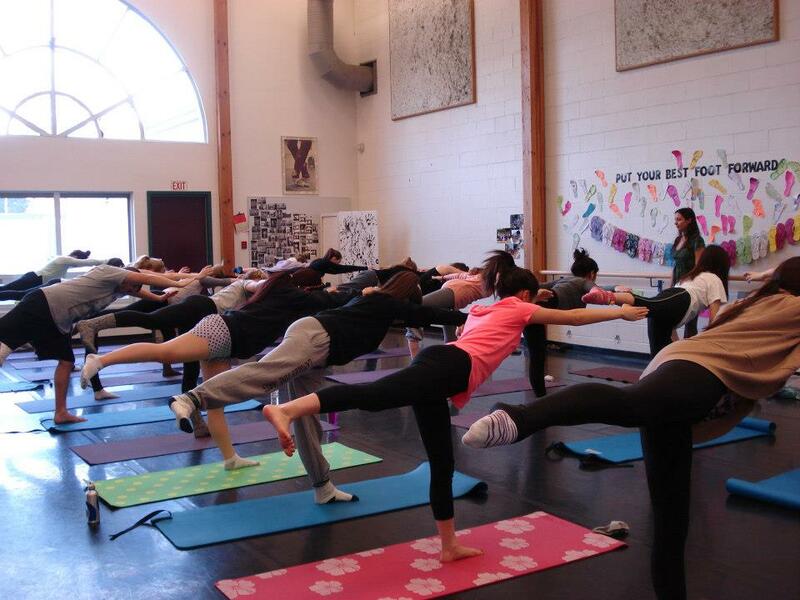 Teenage dancers at Langley Fine Arts School in Fort Langley, BC, Canada, face the back of their studio away from the mirrors as Melody Hansen guides them in Ananda Yoga, a spiritual practice. 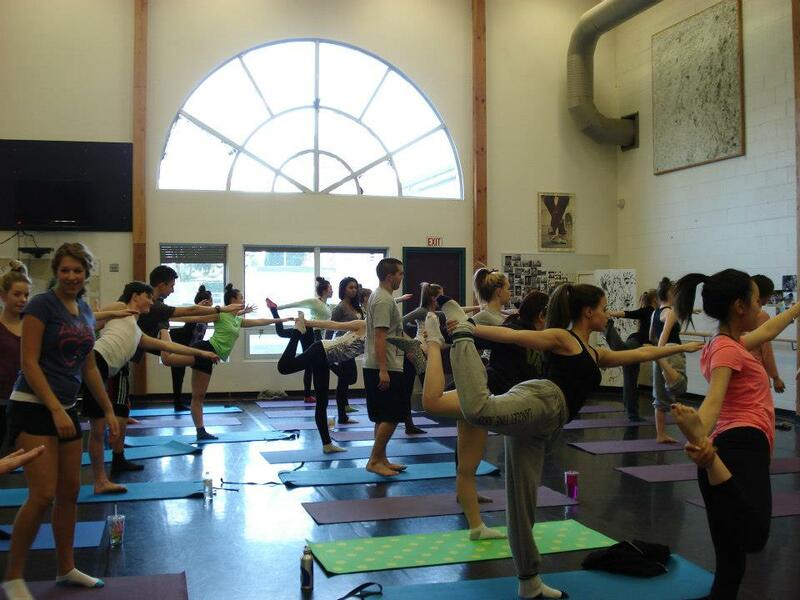 I recently had the privilege of teaching Ananda Yoga and meditation to teenagers at my old high school in Fort Langley, BC— a private school uniquely designed where students major in one of the arts (Dance, Drama, Music, Writing, Photography, or Visual Arts)—and focus on that area of interest from grade 8 through 12. During my own years at Langley Fine Arts School, I was a dance major, and so my plan was to offer yoga to the dance majors who are there now. I planned a rather challenging set of asanas for the dancers, assuming they would be more body aware and capable than the average high-schooler. 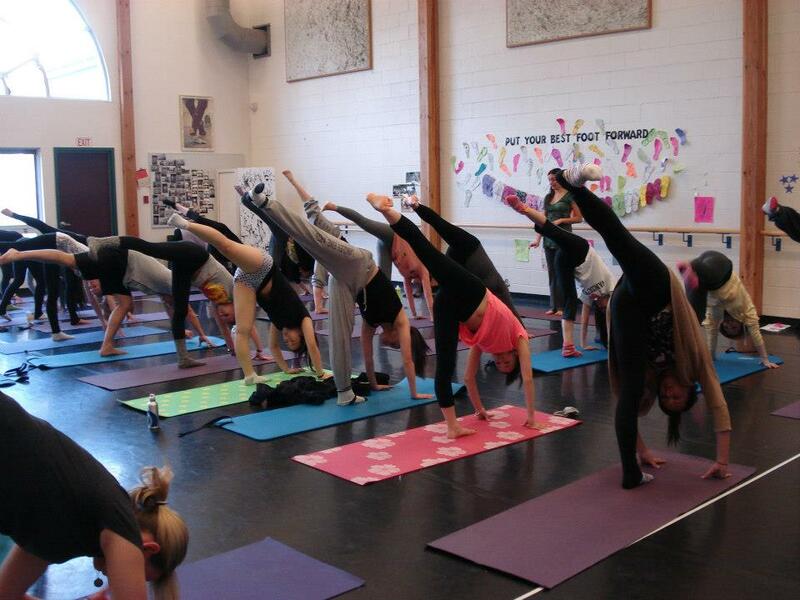 I hoped they would enjoy using their strength and flexibility through yoga. In the short time that I would have with these students, my objective was to give them an experience of energy in their bodies. I also knew that all of the students would be new to Ananda Yoga. “Keep it simple!” were the wise words that kept coming to mind from many teachers who know the secret to teaching beginners. Energy as a topic can either be an “up in the sky” concept that is difficult to grasp, or it can be brought down to earth for one to experience in their own body. Luckily, I’ve had many opportunities to convince yoga students that energy is in fact real! Ananda Yoga is unique in that energy plays a primary role in every class, no matter what thread you pull from—asanas, pranayama, affirmation, or meditation. Having previously worked with teens, I knew it would be crucial to get them involved both physically and mentally during class. I remembered Swami Kriyananda’s Education for Life system of schooling, which says that teens aged 12–18 are in their will years—a time when they want to work on self-mastery and to be sharing their talents, passions, and interests with the world. stranger in their world. I tried to let the students know through my vibration that I was their friend, only there to share, not to teach. This would be a significant difference… an exchange of energy. One of the first exercises I had the students try was rubbing their palms together vigorously to awaken energy in their hands. After doing this for about 15 seconds, we slowly moved the hands away from each other and then back together to feel the life-force between the palms. “Can you feel the energy in between your hands?” I asked them. “What’s next?” could’ve described the look they gave me. I decided to cater to their interests, and quickly. I gave a few examples of how dance and yoga have similarities and differences. Dancing Shiva’s Pose, not easy, but a fun pose to practice with dancers! 1) “In dance we focus on alignment and posture. It’s important how we move our body in order for a dance to be graceful and beautiful. “In yoga we also focus on alignment, but not because it matters what we look like when practicing the postures. What’s important is how we feel when doing the postures. For example, try sitting up straight vs. slouching. Do these two postures make you feel different? “A more obvious example, try raising your arms above your head in a wide ‘V‘ position. Now open your chest, look upwards, and smile. Notice how this pose makes you feel. Teaching these students how dynamically their energy can be affected by subtle shifts in body position or the alignment of the mind was an important thread I wove throughout the class. 2) “Yoga is a little different from dance in that we focus on our breath. In dance, the teacher/choreographer wont’ always say, ’Now on this next leap make sure that you inhale when you lift off the floor and exhale when you land back down.’ We may not even notice we’re breathing while dancing until we come off stage and we’re out of breath! “In yoga we want to synchronize our movements with our breath. Try this with me: circle your arms out and up as you inhale, then exhale as you circle the arms down. Notice how this naturally feels good to do. 3) “In yoga we also want to pay attention to our thoughts because our thoughts affect the way we feel. For example, try opening your arms out to your side horizontally. Now think to yourself, ‘I am open! I am free!’ and notice how you feel. “In Ananda Yoga we’re going to be practicing affirmations with the postures. Affirmations are positive thoughts that you can repeat silently while in a pose to deepen your experience and to help your mind stay present. “How often we have negative affirmations throughout our day: ‘I’m tired, exhausted, I’m not good enough or I can’t do this.’ As people say you are what you eat, you are even more what you think! And so it’s important to feed the mind with positive thoughts. Dancers are used to flowing from one movement to the next, sometimes very quickly. Their challenge with yoga, I soon realized, was being asked to hold one position or asana for a period of time. I let the dancers know that the younger students I had taught earlier that week had a difficult time doing this. I hoped this would encourage them to show their abilities. I think it worked! When I asked the class, “How many of you would like to practice relaxing yoga today?” Surprisingly almost every hand shot up in the air! “How many of you would like to practice more challenging yoga?” One girl slowly raised her hand shyly. “Go ahead, Melody,” the teachers broke in. “These guys need a challenge!” The teachers later told me that this class was particularly lazy. 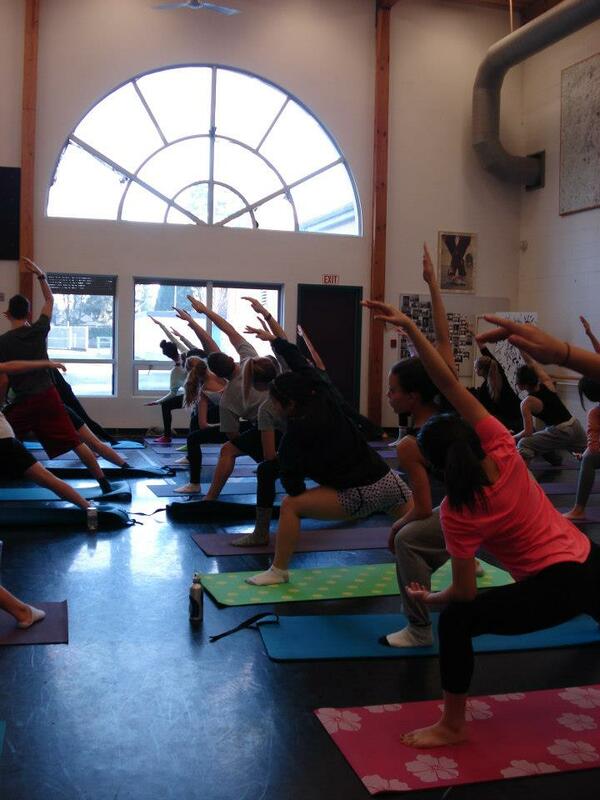 If I had had more time with the students I would’ve loved to have offered them only deeply relaxing poses and stretches, but since I had such little time with them, I decided to give them a little of both. Ananda Yoga is a wonderful style that offers some vigorous poses, which are balanced by relaxation. The young bodies of teens are ready for a challenge that will facilitate a stronger flow of the life-force in their bodies. I promised them a longer deep relaxation, which they were happy to hear. We closed our class with a mini-meditation. Perhaps the best experience for me was seeing the quiet, still bodies, and closed eyes of the teenagers meditating. As we closed the class with “Namaste” in prayer position, the students were smiling with satisfaction. And then, to my surprise, the entire class applauded! The students were happy and had a wonderful experience. Some students stayed after class to share their personal experiences of how much they enjoyed it. One student asked me to repeat the affirmation for one of the poses. “In stillness I touch my inner strength,” I told her. She walked away smiling while repeating it. All of the flyers I brought about Ananda Yoga Teacher Training disappeared! Thanks again to the power of Paramhansa Yogananda’s teachings, these teens had a memorable experience. 1) Teens like to try new things—they’re exploring life and their own abilities to succeed. Because every person has a body and a breath to connect with, everyone was able to draw at least one benefit from yoga. 2) Teens love a challenge—be sure to offer a challenge they can succeed at. If a student falls out of a pose, immediately encourage them to try again. If teens can meet the challenge of practicing advanced poses or holding a restless body still, they will want more. 3) Teens have energy—it just needs to be awakened by their interest and willingness. Having worked with many people over the years and seen their potential to change through yoga practice, I had no doubts about its power. 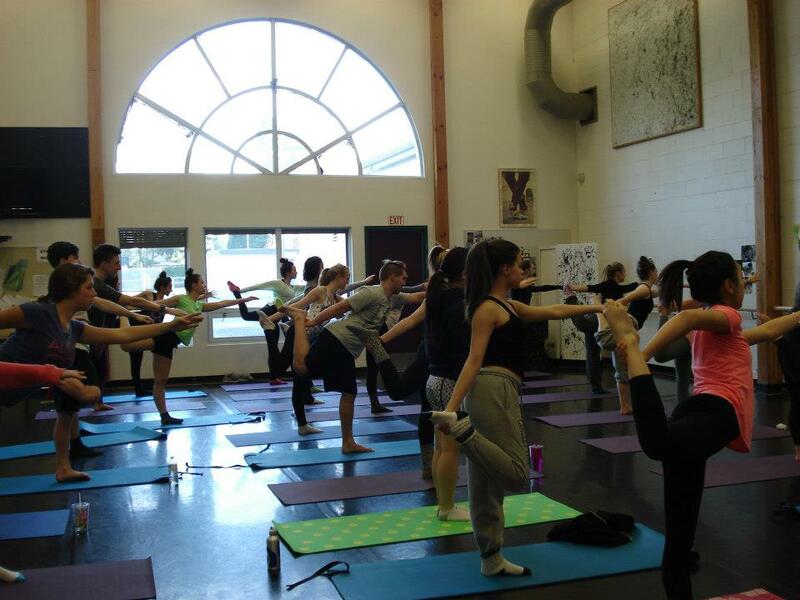 After all, I didn’t teach anything new to these teens; yoga is an ancient science that has been proven to work. As I conveyed how thrilling my topic was, many students became excited about yoga too. 5) Focused energy leads to success: once the energy is awakened it needs to be focused. I’ve found Ananda Yoga to be the best style of yoga for directing energy. 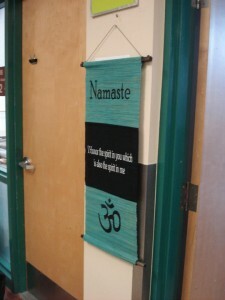 Everything from the warm-ups to the asana affirmations is designed to help students gain higher awareness of their inherent potential. This entry was posted in Yoga Teacher Training and tagged Inspiration for Your Yoga Teaching, Unique Yoga Teaching Experiences, yoga for teens. Bookmark the permalink. Thanks, Melody, for this inspiring article. It’s a joy to see these truths be recognized and encouraged in young souls. Thanks for your comment Sudarshan. I’m so glad you enjoyed the article. It was a great service to be able to offer these wonderful teachings in a school setting. WOW Melo… Great article! Way to pass on nuggets of truth, light & love. You are so anointed by God’s Grace! I love you. Well done, Melody! Thank you for sharing about this experience. Thank-you for taking the time to read this Pranaba! Hi Melody, thanks for this! 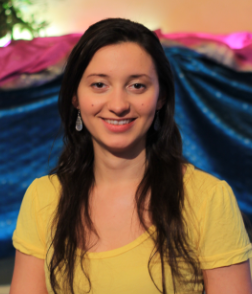 You’ve given me some great examples to use when sharing Ananda Yoga with new students–teens OR adults. You’re welcome Felechia! Good luck with all of your teaching, and may the Great ones bless you always. Melody, it was so easy to picture you teaching to the teens. What an inspiration you have been for them! Hi Donna! Thank-you for your comment. I’m grateful to have been of service, jai guru! What a beautiful article. I enjoyed the inspiring description of your class, and appreciate how thoroughly prepared you were to teach it. Thanks for sharing your experience with us. Congratulations on your new name! How beautiful. Thanks for all of your sweet feedback. I hope to share more down the road. Thank you Melody for an inspiring article. I loved how you addressed a class for dancers in a clear and creative way with intuitive guidance. Very nice, aloha…. Thanks Mark! Good to hear from you. Aloha back to you!